Rate this Article Riding horses is fun, and with today’s games you can do so in a place that looks amazing and is full of beautiful horses. Discovering new places is a huge amount of fun, and there are some pretty cool locations in the games we are bringing you today, and each of them can be found in stunning 3D graphics from the back of a range of horses. You can pick the breed and look of your horses, and in many games own more than one for you to look after and take out for a walk or run whenever you want. There are also lots of competitions for you to enter and enjoy as well as a large community for you to spend time with. All of this combined makes for a magical experience full of wonder and most of all fun! This selection of games below is one that is full of gorgeous horses and lots of activities for you to take part in. We have selected them for both their look as well as what you can do in them and they all have something special that makes them stand out. Not only that but they are also beautiful and really great places to spend your time. 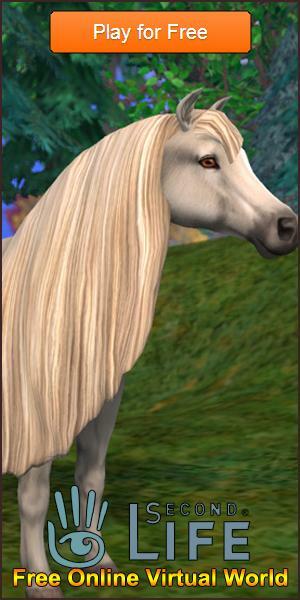 With Star Stable you are able to enjoy a game with a massive array of horses and breeds to own, and explore a world full of quests and lots of unique activities. The world of Jorvik is vast, and there are lots of areas for you to discover and lots of fun characters to meet, as well as thousands of other players. A mix of casual riding and competition Planet Horse has a bit of everything and a lot of it to go around. Playing against the computer it falls to you to earn your trophies, then take a well earned ride around to relax among some lovely locations. With its own unique style and range of courses it’s a lot of fun to play. With one of the biggest games in the world you have limitless options in Second Life, join millions of people all over the world in creating and exploring a place full of everything you need, and a lot of magic too. There are entire stables and stores dedicated to designing and selling horses, or you can make your own too. Ride: Equestrian Simulation gives you three different equine sports to enjoy, dressage, cross country racing and showjumping. Pick your horse from a big list and then go on a journey full of brilliant events and some simply amazing 3D graphics and one of the single best horse riding experiences we have found to date.